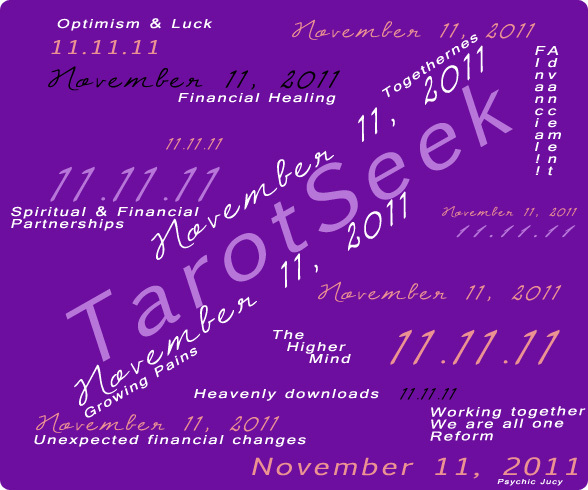 Tarot Reading (TarotSeek) What will happen on 11-11-11 ~ November 11, 2011 ~ 11.11.11. ~ Eleven, Eleven, Eleven? Advice, Action, or Suggestion: Will take a look at the Dow tomorrow. Maybe it takes a hard hit and then gets artificially saved — reminiscent of the Depression era. Advice, Action, or Suggestion: Check the news out tomorrow.